The Function Junction’s very own Tommy T and the Belletones are set to play Meraki Festival in St Albans, Hertfordshire this summer. With a cracking line up of live bands and acts including famous names including Tony Hadley, Bonnie Tyler, Sophie Ellis-Bextor, Lemar and many more, the family-friendly festival will also feature creative spaces and activities for everyone to enjoy. Taking place between the 11-13th August on the Hertfordshire County Showground, the music at the Meraki Festival is set to be the highlight, where the spell-binding and energetic Tommy T and the Belletones will grace the main stage to entertain the crowds on Friday 11th in the afternoon. Tommy T and the Belletones are the perfect festival band, who will definitely get the crowd up and dancing with their huge repertoire of songs from various decades and genres (Motown, rock n roll, R&B, soul and pop to name a few), as well as ultra-modern pop songs from the charts. Tommy T and the Belletones aren't just blessed with musical talent, they’ve also got brilliant choreographed dances moves, guaranteed to get the whole family up and dancing. 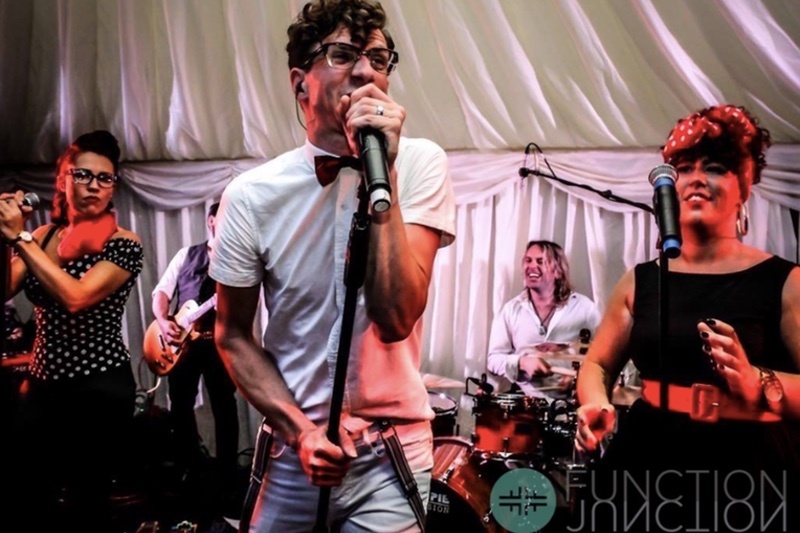 Although they’re very much at home playing the summer festival circuit, Tommy T and the Belletones are also available for hire at weddings, corporate events and other special occasions - check out the bands amazing reviews and rates here. The Meraki Festival will have plenty of activities over the whole weekend for all the family to be kept occupied. Weave your way through the Mad Hattars Maze, take a dip in the swimming pool or swoop through the festival on a zip-line. The festival has ‘glamping’ enclosures for comfort and spaces to pitch your own tents or bring your camper vans. Tickets for the Meraki Festival start from just £15 for children, with 3 day all-inclusive tickets starting from £20 (for children) to £130. For more information please visit Meraki Festival. Watch Tommy T and the Belletones video below for a taster of what's to come!